Money magazine recently offered some interesting data on the relationship between the economy and the stock market. 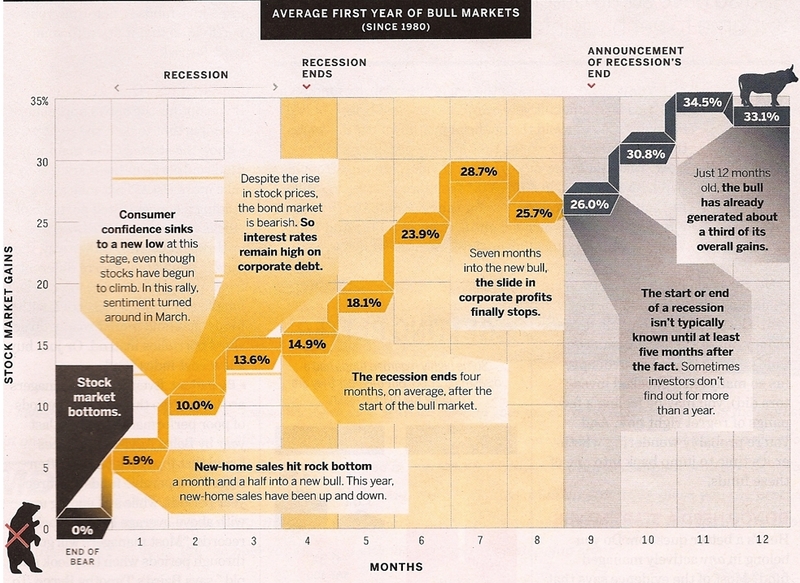 In the chart below, you can see how the market, on average, has risen during the first year of bull markets since 1980. What’s key to note is that as the market starts its rise — and, in fact, as it gets well into its rise — the economy typically is far from sparkling. “History shows that bull markets typically spring to life months before most economic indicators approve,” Money’s Joe Light writes. That doesn’t make it a certainty that the current rally is the start of a new bull run, of course. “But if you wait for data to tell you that things are really going well with the economy, you stand a good chance of missing out on big gains,” says Light.